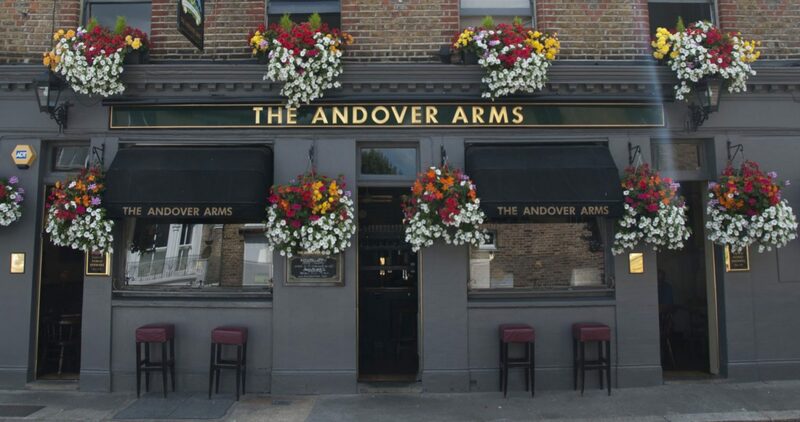 Nestled in charming Brackenbury Village, a unique west London neighbourhood the Andover Arms is a welcome home for much-loved locals and new friends alike. ‘The Andover’ is a thriving part of community life and we champion the kind of hospitality where a gentle nod to attentive staff leads to your drink of choice or a signature Sunday Lamb Roast. Whether a Roast, market fresh fish or a delicious salad we use great ingredients in carefully crafted home-made dishes representing the best of British and beyond. We have pride in serving great pints brewed a mile away by Fullers, the family-run London institution and staff will happily suggest from a wide range of wines for drinking or to accompany a meal. We’ve games, Jazz, blues and soul alongside occasional live music (usually renowned regulars) to help while away relaxed hours. A proper pub with proper food; a welcome return.